All Star Motel in Wildwood, New Jersey. 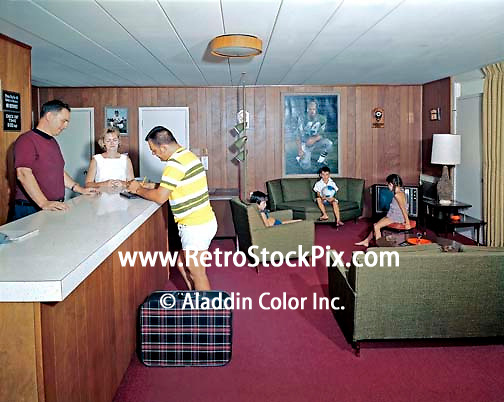 Family checking in at the front desk of the retro lobby. 1960's retro photograph.